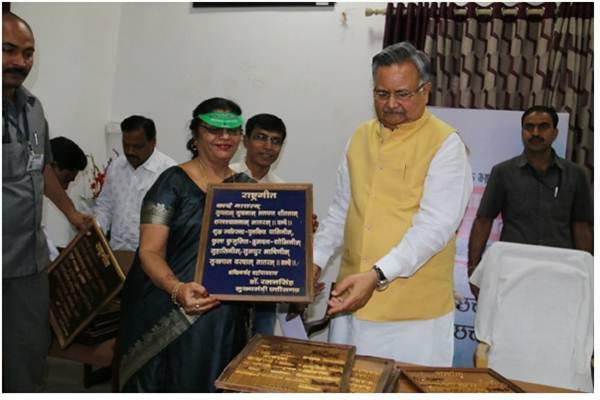 Mrs. Usha Talwar (Principal) of Maharishi Vidya Mandir, Bhilai, awarded by the Chief Minister Dr. Raman Singh (C.G. ), for NO POLYTHENE BAGS campaign organized by Dainik Bhaskar. Copyright © - 2013 Maharishi Vidya Mandir - Durg, All rights reserved.